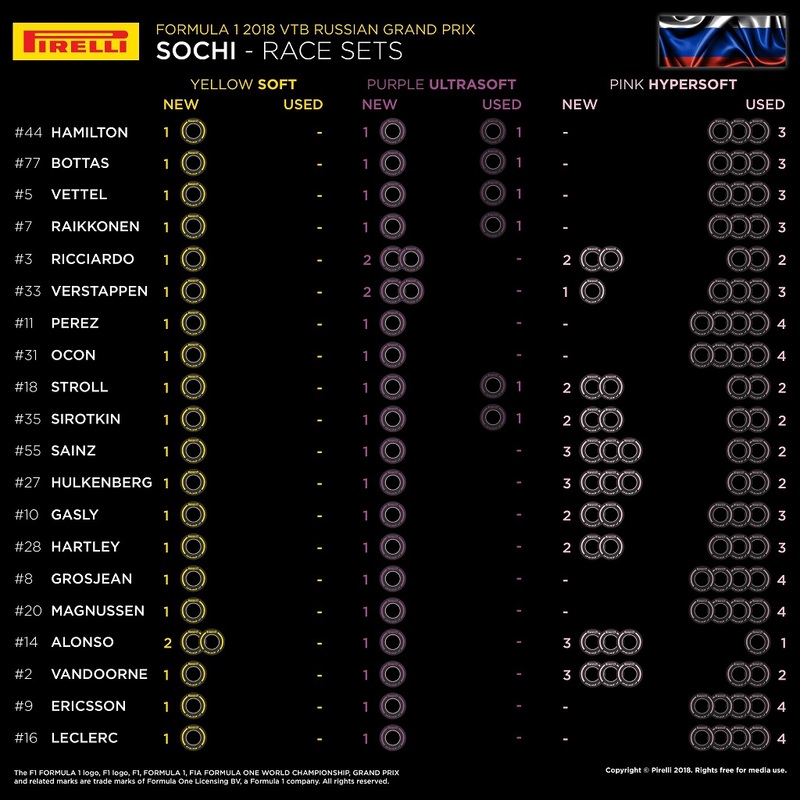 The top four drivers on the grid for today’s Russian Grand Prix have identical tyre allocation after the two opening days of the race weekend despite starting the weekend with differing tyre choices. The Sochi Autodrom has a reputation as a circuit with extremely low degradation. Over the last four years of racing in Russia, tyres have showed a very good durability, they usually lasted even ‘too long’, forcing every driver to follow the very same strategy. This characteristics is underlined in the tyre choices available for the race. As was the case in Singapore, Pirelli brought the soft compound but then bridge to the ultrasoft and hypersoft. All drivers have strongly favoured the softest end of the range, choosing between seven and 10 sets of the ultrasoft. After the three practice sessions and the qualifying, the top four drivers have the very same tyre allocation. In contrast to the two Mercedes and Ferrari drivers, the Red Bull duo has more fresh hypersoft and supersoft sets. Despite to the past experiences, the bold tyre choice of Pirelli saw teams scratching their heads. Previously, tyres required extra warm-up laps in qualifying and enabled drivers to complete multiple hot laps on the same set. Thiy year, drivers needed to be very careful on their out laps to avoid overheating when they arrive to the last sector of slow 90-degree corners on their fast lap. 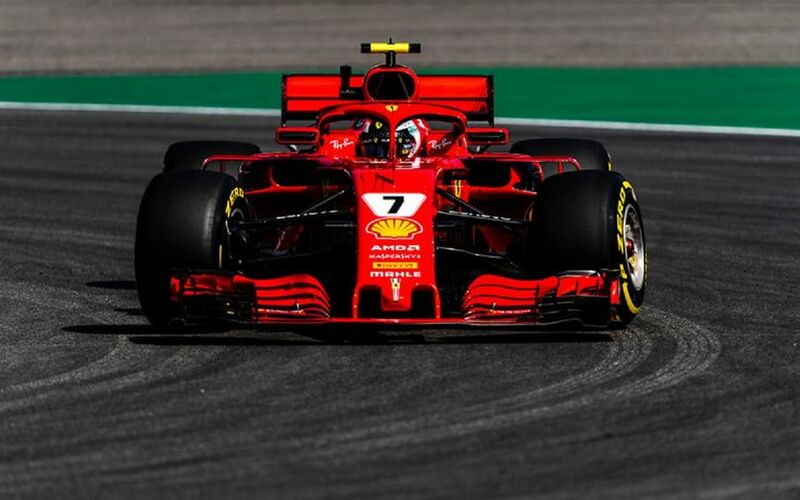 This behavior of hypersofts prompted Mercedes and Ferrari to qualify on the ultrasofts in Q3 to start the race on the more durable compound, avoiding the hypersofts. As regulation requires drivers to use two different compounds during races, the top four drivers have to choose either the soft or the hypersoft compound for their second stint of the race.